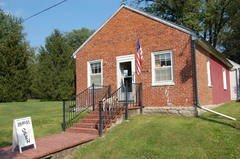 Museum exhibits include historical documents and artifacts from earlier eras. Guided canoe and kayak afternoon floats. 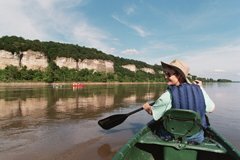 Come paddle the Missouri River through its most picturesque Mid Missouri scenery. Fifty-four miles northeast of Sedalia is Rocheport. Rocheport is a beacon of tranquility, drawing visitors to the world-class bed and breakfasts, splendid dining, quaint antique shops, galleries and artisans, a museum, an award-winning winery, and the scenic Katy Trail - all amidst our beautiful hills and bluffs.